Saudi Charge d’Affaires in Lebanon on Friday hailed Lebanese officials, journalists, opinion leaders and citizens for condemning an editorial in ad-Diyar newspaper that carried insults against him and against Saudi Crown Prince Mohammed bin Salman. The Lebanese people “are the people of the kingdom and its friends,” Walid Bukhari told a delegation comprising civil society groups, independent figures, businessmen, engineers, physicians, lawyers, clerics and politicians, who visited him at the embassy to deplore the article written by Charles Ayyoub, ad-Diyar’s publisher and managing editor. “The kingdom will not allow such subservient writers to affect the relation between the two countries,” the charge d’affaires added. “All components of the Lebanese society have expressed their condemnation and I will never forget this stance,” he went on to say. 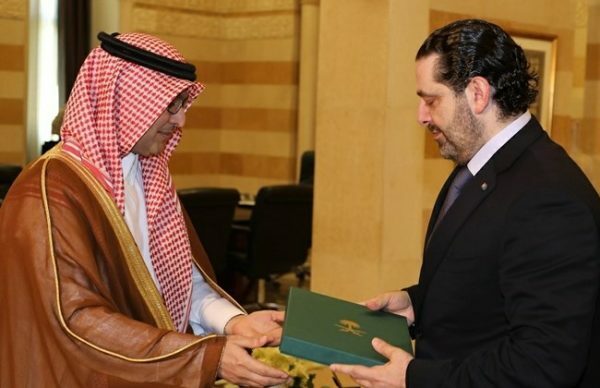 Saudi Arabia is closely allied with one of Lebanon’s main political blocs and has provided extensive financial aid to the country.